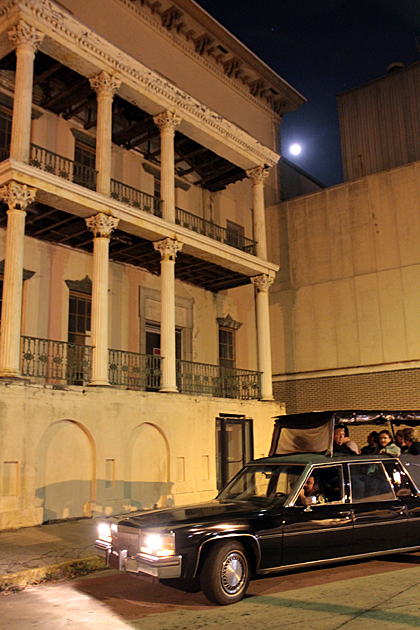 What could be better than touring Savannah in a hearse with a raised roof, so you can poke your head out the top? Nothing comes immediately to mind, does it? I mean, a ghost tour in a tricked-out hearse is kind of like the pinnacle of human culture. So when my parents came to visit, I booked spots on the Hearse Tour, arranging for a pick-up outside the Pirate’s House. 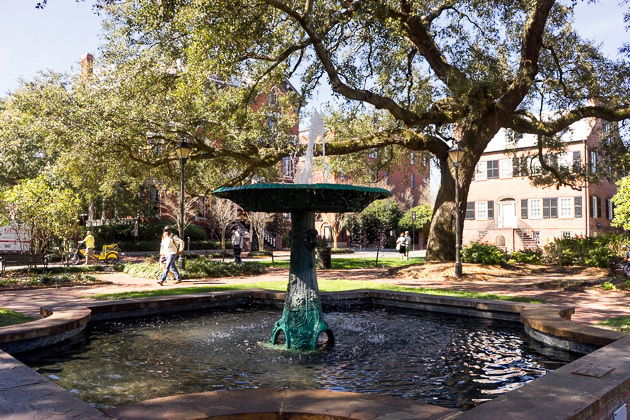 What ensued was an entertaining trip around Savannah’s dark side. Our guide was completely into her character as spooky chauffeur, and her enthusiasm for the supernatural was contagious. There wasn’t a dull moment; a lot of houses in Savannah have some story of fright, whether a horrific crime or an unexplained phenomena. A lot of the tales were new to me, and I felt chills when we went by the old psychiatric hospital on Abercorn. It might have been the booze, but I swear I saw the outline of a face in one of the hospital windows. The Hearse Tour isn’t exactly inconspicuous. I lost count of how many pedestrians laughed at us, yelling “Oooooooh, spooooky!” But if you’re able to tune out the mockery, it’s a great time, especially if you’ve got an interest in the supernatural. Seeing Savannah's Evil Side from a Hearse What could be better than touring Savannah in a hearse with a raised roof, so you can poke your head out the top? Nothing comes immediately to mind, does it? I mean, a ghost tour in a tricked-out hearse is kind of like the pinnacle of human culture. We were in Savannah in February and had the pleasure of having Laura (I knew by your description of the tour that you HAD to have had her, and also… she’s in one of your pictures haha) as our tour guide as well, and it was completely and utterly worth the money we paid for it. I, too, recommended it to everyone that I possibly could! Anyway, point was, happy to see that you enjoyed the tour – and hers specifically!